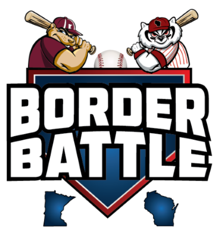 WSS, Minnesota Youth Athletic Services, and Hudson Youth Baseball have collaborated to put on the 2019 Minnesota-Wisconsin Border Battle! This will be a 2 day, 3 game guarantee tournament open to community based teams featuring a Team WI vs. Team MN Home Run Derby Saturday night! Come warm up for the Summer and battle on the state line. Teams will be accepted on a first come basis as we will have to limit the number of teams from each state for the competition of the tournament. Community-based team – Community-based teams must be comprised of players who are from the community in which their parent or legal guardian resides or in which they attend school. Generally, association boundaries are based on a city’s limits or a high school district attendance area. Teams have the option to register for either AA or AAA Divisions if both are offered. Many Divisions are full, please ask about availability before registering!